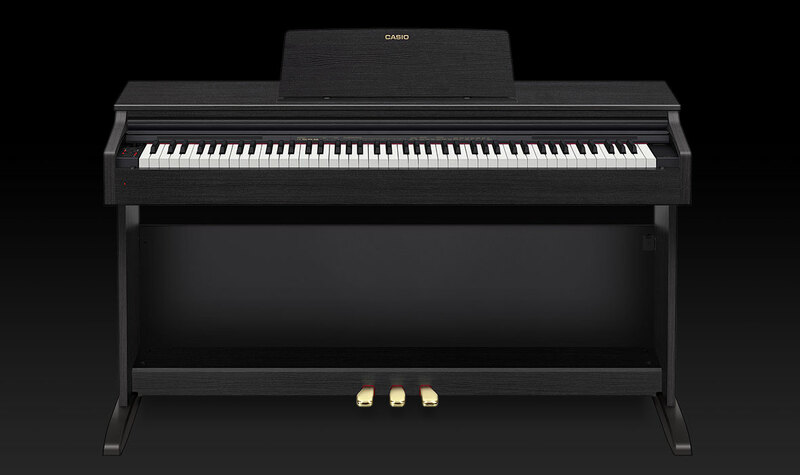 Featuring two new and diverse concert grand piano tones plus 20 other sounds, the AP-270 is the successful entry-level model to the world of CASIO CELVIANO digital pianos. 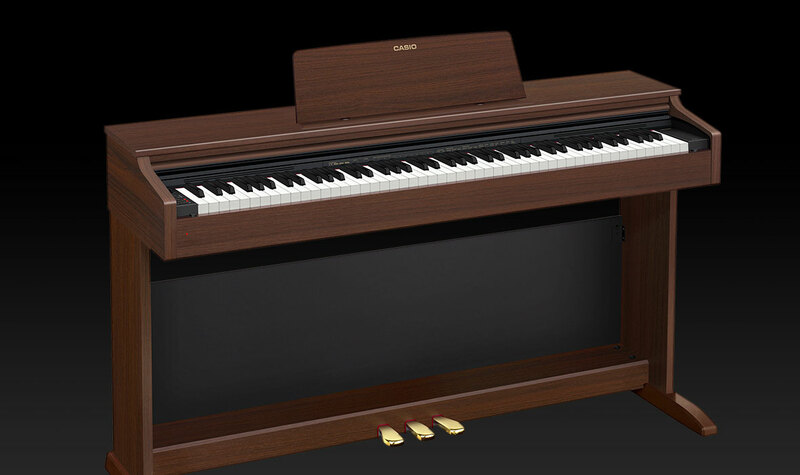 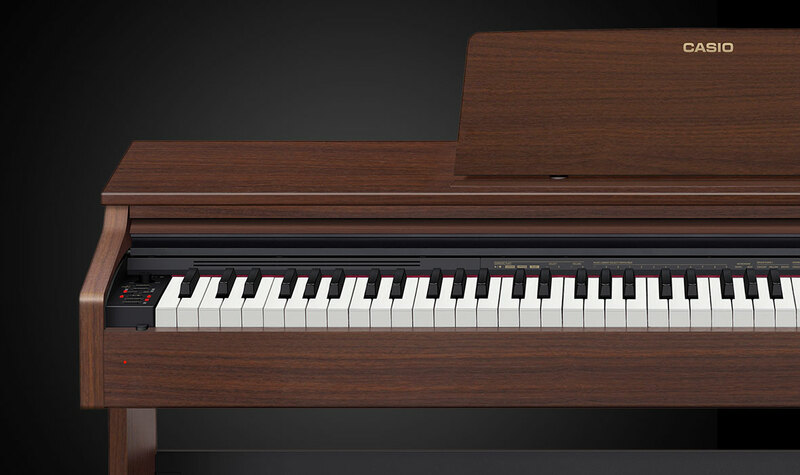 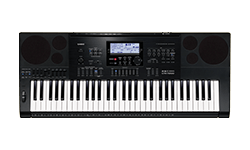 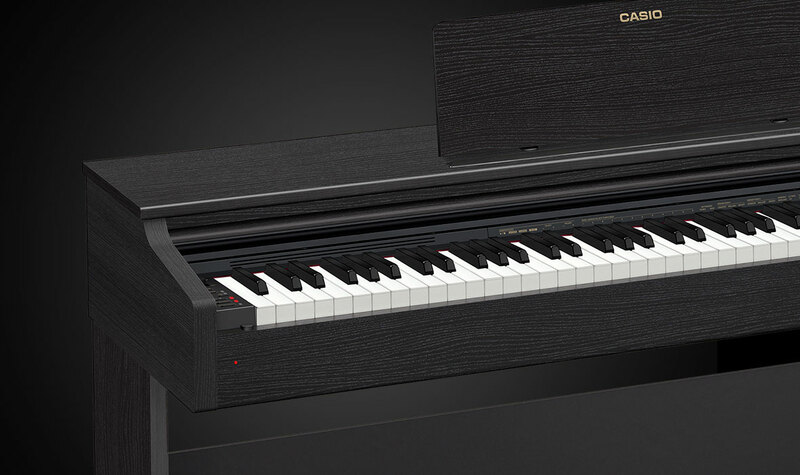 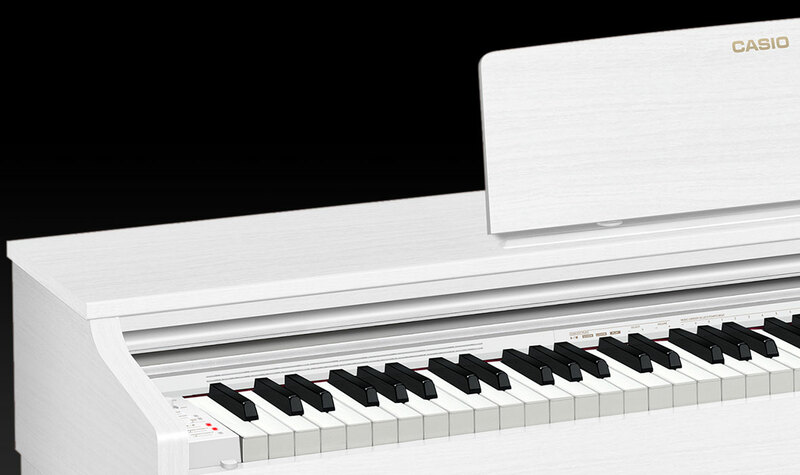 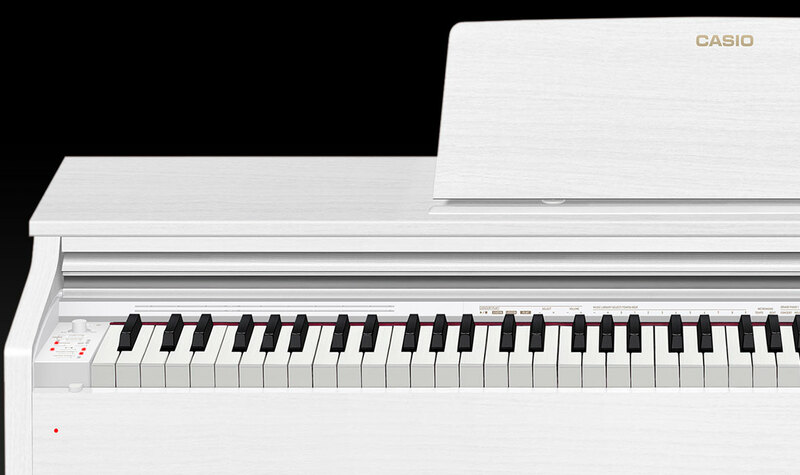 A completely re-envisaged, user-friendly design and the newly designed keyboard cover make this cabinet piano from CASIO an optimum entry-level model. 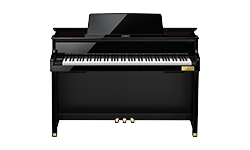 The playing experience for the pianist is just like that of an acoustic piano, thanks to the scaled hammer action with three sensors and 88 weighted keys, whose special coating means that they are reminiscent of real ebony and ivory concert grand piano keys.